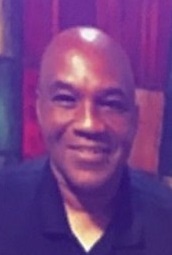 Obituary for Walter Charles Jones | Beach Funeral & Cremation Services, Inc.
Walter Charles Jones, 60, answered the call from the Lord on Friday, October 5, 2018. He was born April 16, 1958 to the late Jenny V. Jones and Rand Jones, Jr. in Shreveport, LA. He was predeceased by four siblings. Walter was known by many as "CJ", "WC" and "Walt". He graduated from C. H. Iron High School in Benton, LA. MSGT (Ret.) Jones served 26 years in the U.S. Marine Corps. He was currently employed with Diamond Resort as a Security Officer. He was an avid golfer and fisherman. He leaves to cherish his wonderful memories, one son, Cason Robbins; three sisters; two brothers; and a host of devoted nieces, nephews, relatives and friends.